Looking for a Group? 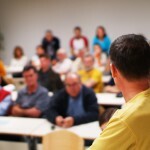 Many of our practitioners are experienced presenters and educators. Integrative Counseling and Hypnosis Associates now provides group therapy for a range of issues…. Depression, Anxiety, Weight Management, and Self-Sabatoge are ongoing groups offered. Please call our office for details, 561-393-1911. Or email Dr. Melody Smith at drsmith@therapy-4u.com. Become Certified as a Consulting Hypnotist. Learn self hypnosis. 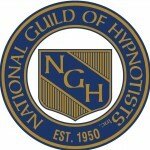 Certification in hypnosis by the National Guild of Hypnotists is conferred upon those who successfully complete the 100 hour course curriculum offered at Integrative Counseling & Hypnosis Associates, P.A.. Please contact us for information pertaining to new classes forming. Corporate Guest Speaking engagements are available upon request and can be custom designed to meet your organization’s needs. Contact us for details.